30 million Americans have Osteoarthritis—the most common form of arthritis. It is sometimes called degenerative joint disease or “wear and tear” arthritis. 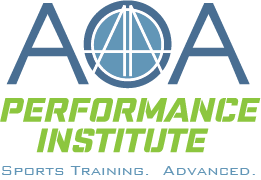 OA can cause pain, stiffness, and swelling, and can result in disability. These changes usually develop slowly and get worse over time. 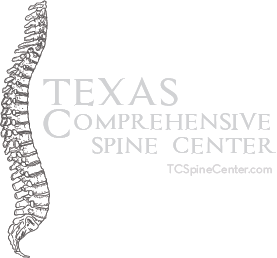 You may not be ready for surgery yet, and opioids can have risks and unwanted side effects. 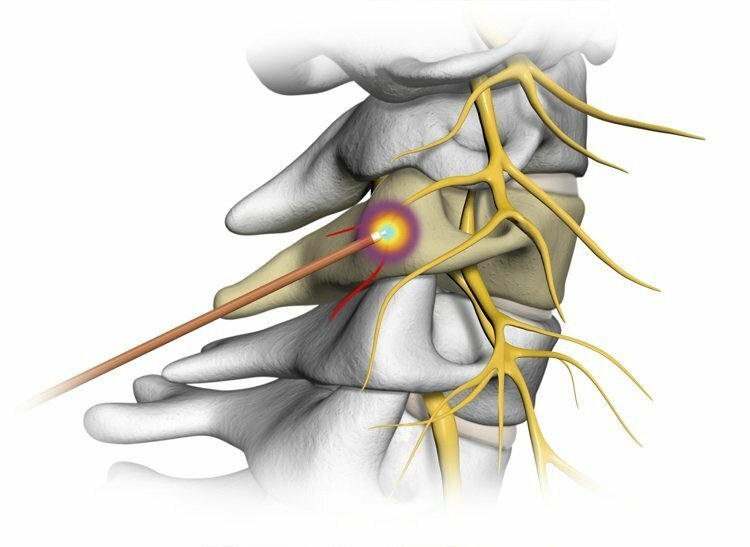 Coolief is a minimally invasive treatment option targeting nerves that are causing pain. 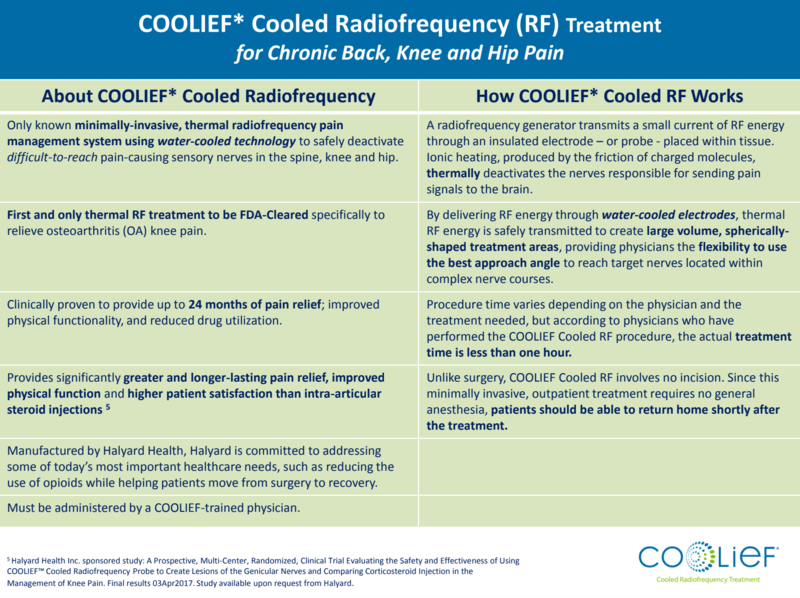 Coolief cooled radiofrequency can bring nonsurgical relief to those suffering from OA knee pain, without the use of opioids. Radiofrequency ablation is becoming more popular in treating OA knee pain because this minimally invasive, non-narcotic procedure directly targets the nerves responsible for sending pain signals to the brain. 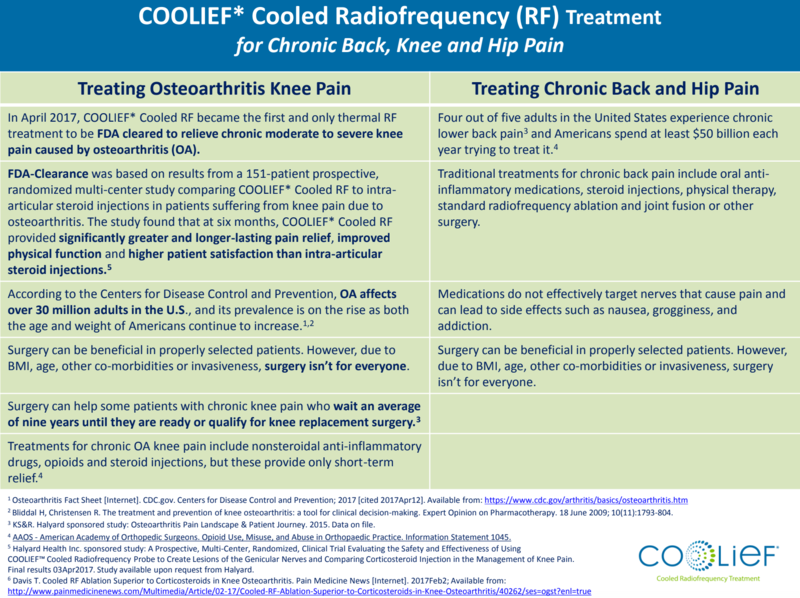 Coolief is the first and only radiofrequency treatment cleared by the FDA, offering relief from moderate to severe OA knee pain for up to 1 year. Visit myCOOLIEF.com for more information.